We’ve been hearing a lot about the Ukrainian metalcore band Jinjer for years before they landed on North American shores for the first time in early 2018. We hear about a lot of European bands well before we have the opportunity to see them for the first time, but with Jinjer it was very different. Instead of hearing about Jinjer through the usual label or publicity press releases, we’ve been hearing about Jinjer from other, more established bands. Not just one or two other bands, but several have mentioned how great they are and that they are a band they personally listen to. 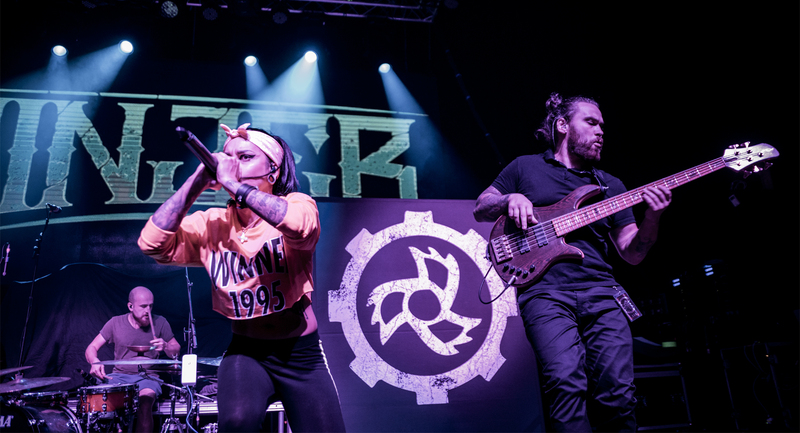 We missed Jinjer’s first and second tours in the States, but the third time was the charm when we finally caught up with them on tour with DevilDriver at Gas Monkey Live in Dallas, Texas. Get to know lead vocalist Tatiana “Tati” Shmailyuk and bassist Eugene Abdiukhanov when “Mischievous Mel” talks with them on camera and on the bus prior to hitting the stage.